Dallas, TX (Restaurant News Release) Dallas-based Cowboy Chicken is poised for significant growth through franchising and corporate expansion. Kip Kolow, co-founder of Boston Market, is now working as Chief Strategy Officer of the wood-fired rotisserie restaurant chain, joining forces with president and CEO Sean Kennedy to strengthen systems and put processes in place to expand the fast casual brand across the country. Members of the Cowboy Chicken leadership team including (L to R): Director of Operations Chuck Zieseniss; President & CEO Sean Kennedy; Director of Brand Marketing Kim Jenson-Pitts; Chief Strategy Officer Kip Kolow; Director of Purchasing Brad McDaniel. Founded in Dallas in 1981, Cowboy Chicken is a fast casual restaurant chain specializing in real wood-fired rotisserie chicken. 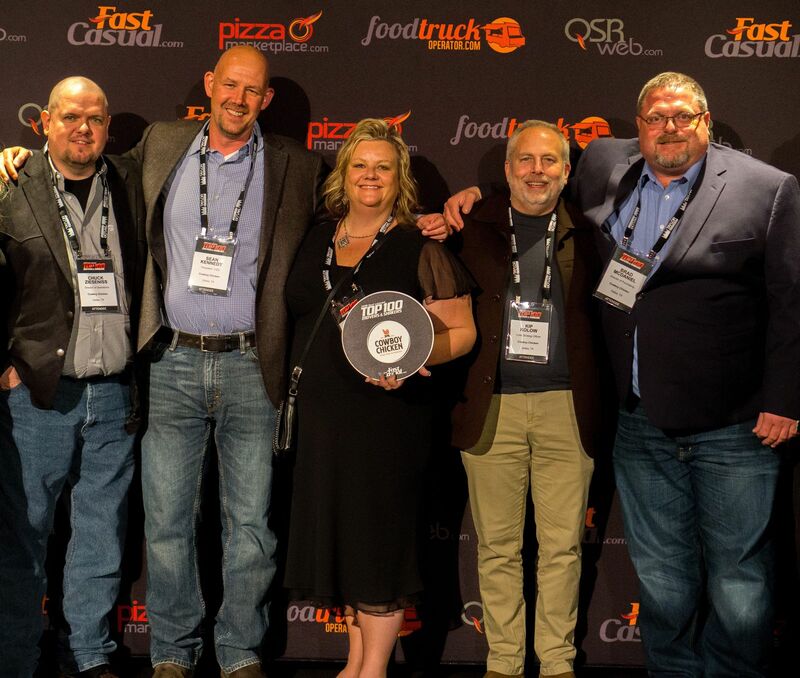 The brand has been included in Fast Casual’s Top 100 Movers & Shakers list every year since 2012 and in 2017 won the Emerging Chain of the Year award from Restaurant Business and was named one of the Top 25 Most Loved Brands by Foodable. Forbes magazine also chose Cowboy Chicken as one “Hot Restaurant Chain to Buy into Now.” Cowboy Chicken is currently seeking qualified franchisees to help build the brand in select markets across the U.S. For more information, visit www.cowboychicken.com or email franchise@cowboychicken.com.